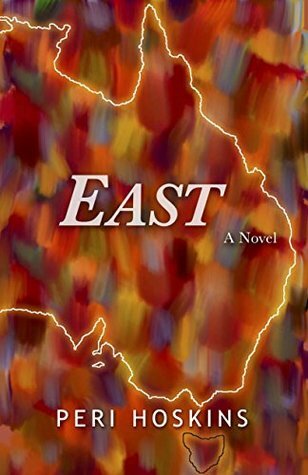 Vince, a New Zealander of mixed parentage in his early 30s leaves everything behind to go on a road trip across Australia. He sheds the life of a corporate lawyer in the city to become just another traveler. On the way Vince regains his sense of seeing into people, a talent he had as a child but seems to have lost as he grew up. It’s more than a journey to discover a vast continent – it’s a journey of self discovery and freedom from the mundane existence we condition ourselves into. The narrator urges us to step back from the rat race, just as he does, and let ourselves be taken over by the many possibilities that open up as we let go of social restrains. What I found interesting was that apart from painting images of the scenery he passes, the beautiful open spaces and the harsh unforgiving landscape, Hoskins also provides glimpses into the people encountered by Vince along the way, including his fellow travelers, the attitudes to each other and the issues that divide people and communities. We also get insights into the life of migrants – how they never really belong even if they have been living in the community for a long time. There is a quiet depth to the narrative that keeps the reader engrossed from beginning to end. Vince maintains a journal of his encounters, the good and the bad that he hopes will one day become a book. And through his eyes we see into worlds we might not visit, like the life of miners, aboriginals, and the lifestyles of the rich and not so rich. We also see inside the characters he meets, and read their fears, the hopelessness they feel stuck in the same place, their longings and desires and their deep seated prejudices. Hoskins doesn’t shy away from dealing with race and color, issues that others might balk at. East is more than a road trip. It’s like a metaphor for our own lives, rushing from one thing to another never pausing to see where we are heading, or if it’s really the direction we should be heading. Vince dares to break away from the mold and step into the unknown. I picked up the book expecting a backseat view of the drive across Australia. What I got was something more than that. Five stars for that.